I took this picture on our recent visit to the Lake District. 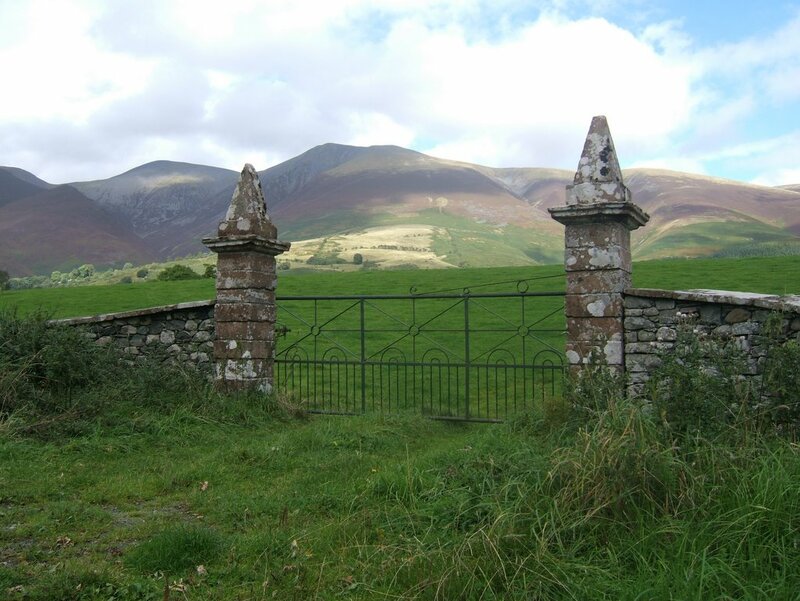 It is on the road that runs to the east of Bassenthwaite Lake from Keswick and struck me as being the most elaborate gateway to any field that I have seen in some time. Tobias was just doing what cats do on Saturday. Unfortunately he decided to do it in the dining room while the back door was propped open and I was upstairs. 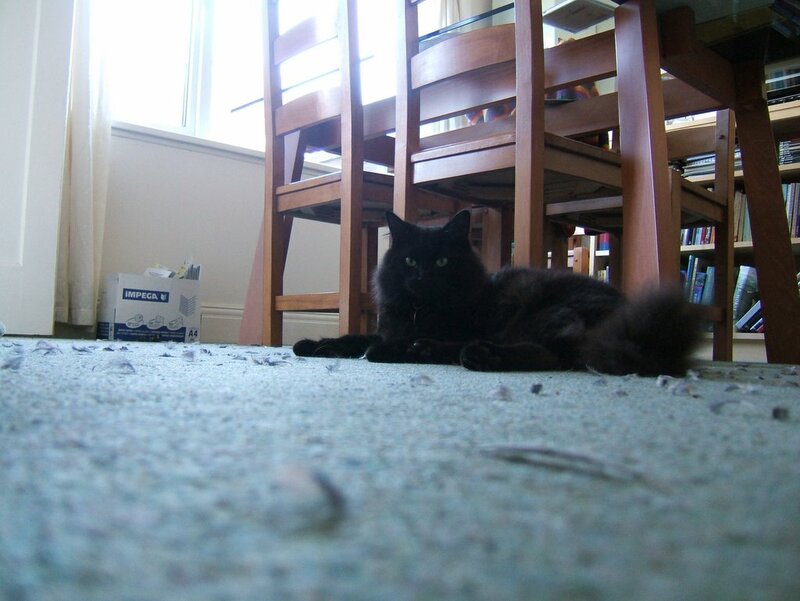 So there was quite a mess to clear up when I came down. The feathers I could deal with, but I am not good with dead things at the best of times. 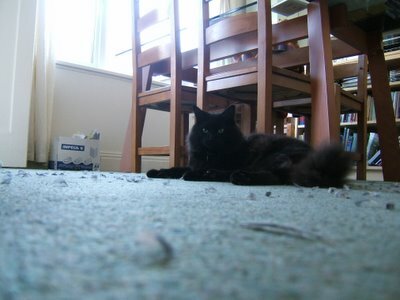 It gets decidedly worse when it is just bits of dead things (the bits that he did not want to eat). He was not popular, even though obviously quite pleased with himself. But what can you do?... He was just being a cat.